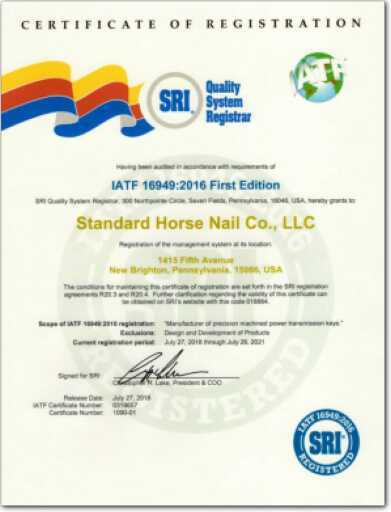 The Management of Standard Horse Nail Company is committed to quality and continual improvement in all areas of the organization. Working as a team, and the involvement of employees in the continual quality improvement process ensures that the company's goals for quality, efficiency and customer satisfaction are met. 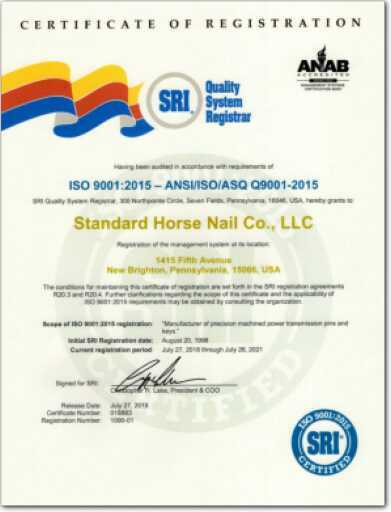 Stanho's target for quality is to maintain and to improve the quality of products and service, in order to meet consistently customer requirements and internal needs. Stanho's management is committed to the safety of the company's operations and, in particular, to the health and safety of employees, customers and the public in general. Under observance of the aforementioned, customer satisfaction is the company's main priority: we want to be our customers' preferred supplier and provide the highest quality specialty fasteners in the industry.